ClassDojo Gives Behavior a Boost! With the growing class sizes that face schools today, teachers are finding that more time is being spent addressing discipline issues in the classroom. More students means more opportunity for off-task behavior. Any tip, trick, or tool that can help alleviate these issues increases teaching time and in turn provides our students with a better education. ClassDojo is a behavior management software that may be the answer teachers are looking for. ClassDojo.com is a free, web-based product that keeps track of student behavior, will display it to the class, and will provide PDF reports that can be printed out or saved and emailed to parents. Sign up for a free account to get started. Once you have registered begin setting up your classes. You can create as many classes as you need. Once a class is created, add your students’ names. Each student will be assigned a monster icon. This icon can be changed, so you can allow the students to choose their own monster if you wish. The next step will be to set up the positive and negative behaviors you want to keep track of in your room. Some behaviors are inserted by default, but all behaviors are fully editable. You can change/add/remove whatever you wish to fit your needs. Once you have your classes and behaviors set you are ready to use this on-line tool with your class. Start the class and , if you choose, display the site in your classroom. 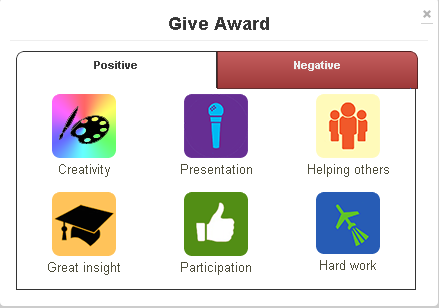 As students display positive or negative behavior select that student and select the behavior that was shown. ClassDojo will keep a record of each child and display a running total of the student’s points they have earned for the day so far. When class is done, end the class. 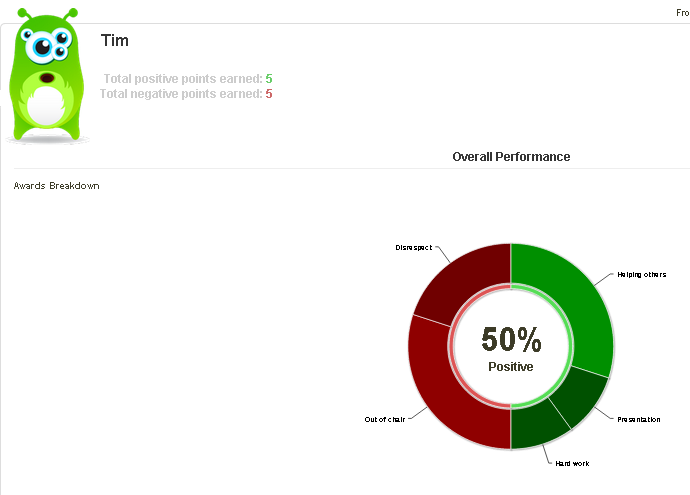 You then have the option to run/email reports for the class and for individual students. Choose the date range you want the report to pull from. It is up to you as the program manager. Since this is an on-line resource you are able to access and run it from any device that has internet. Log in on the computer and an iPad. As you are moving about your room, award points on your device. It automatically updates on the computer and in turn the display the class is seeing. Students will be able to monitor their own progress while they are with you and adjust accordingly. When your next class comes in, start that class and the process begins again. Log back in to your account at any time to manage your classes or access reports. Feel that too much of your day is spent addressing behavior? ClassDojo may be the answer you are looking for!